sanrio | I am Chubby Bunny! 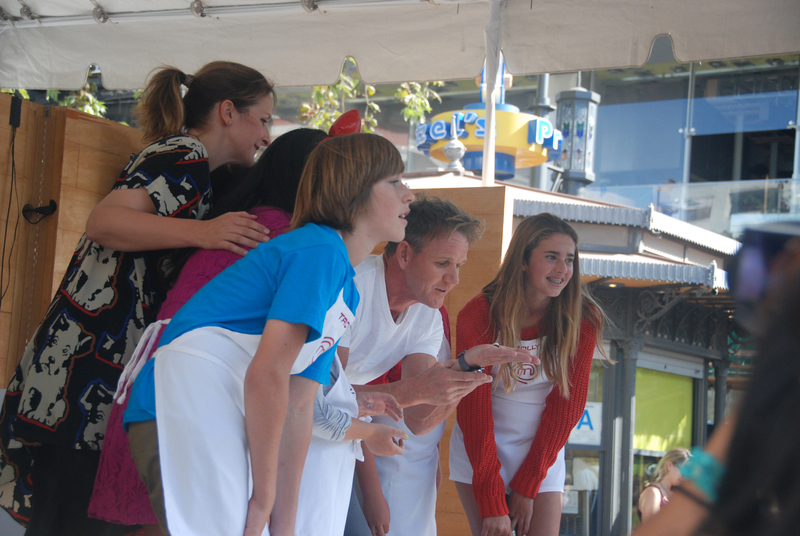 Gordon Ramsay and MasterChef Junior cast attempts World’s Largest Cupacake… well.. sort of.. 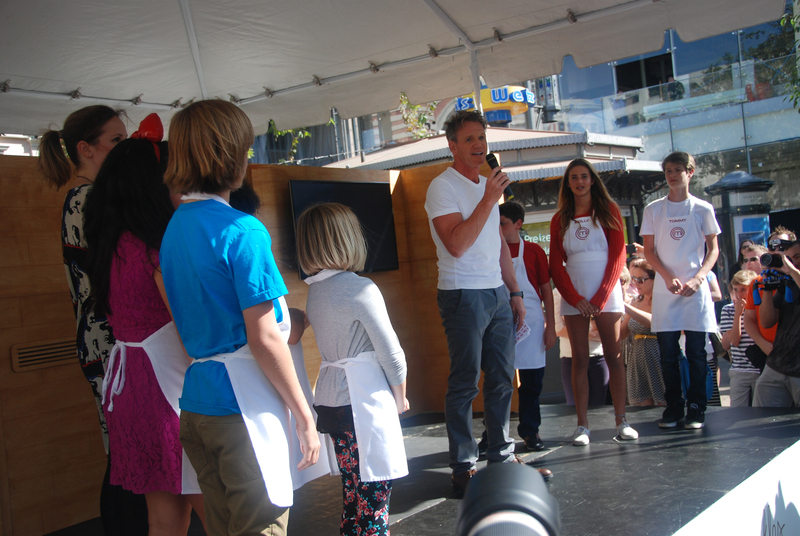 Yesterday, I popped out to see the media event for MasterChef Junior at The Grove, which boasted that Gordon Ramsay himself and the cast were going to unveil the World’s Biggest Cupcake in an attempt at a Guinness world record. 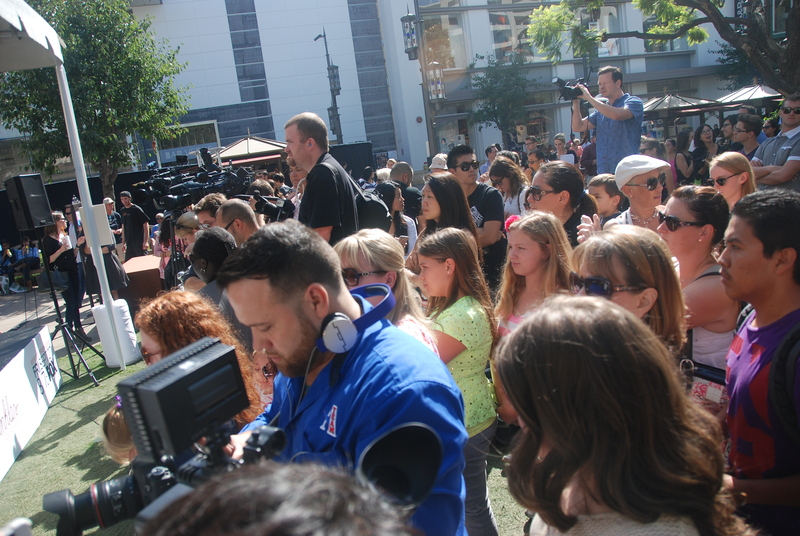 There was a decent amount of media there, and crowd of tourists. I guess the cupcake was supposed to be int his giant box?? 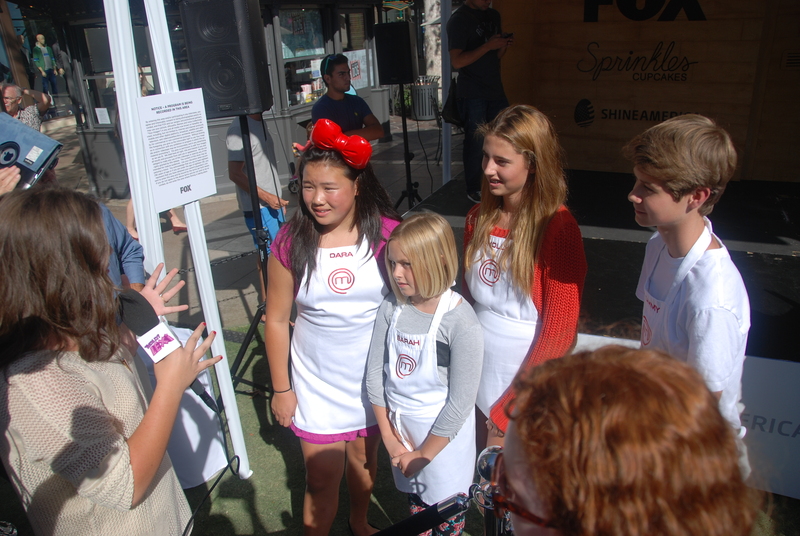 Some members of the MasterChef Jr cast came out (And Dara wore my red Hello Kitty x Chubby Bunny bow! <3), with Gordon Ramsay popping out right after. 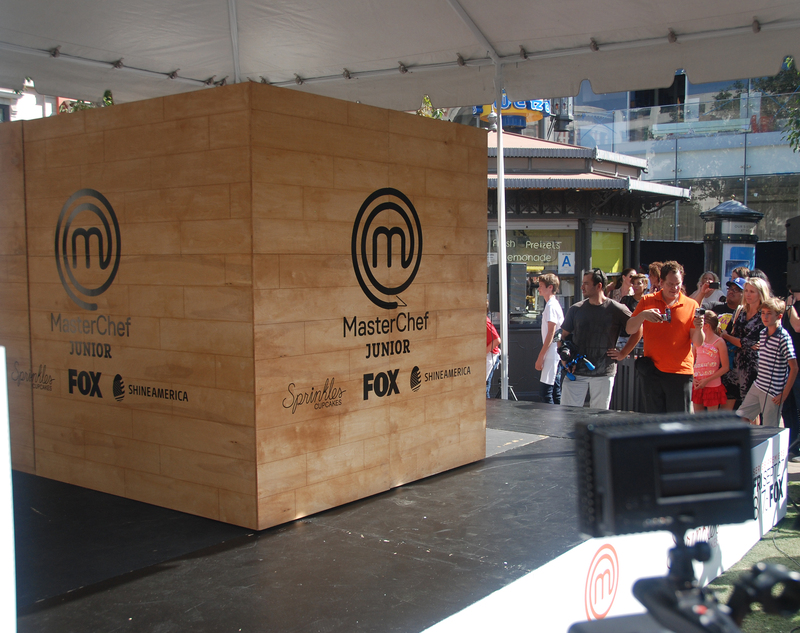 After the reveal, Gordon flicked it into the crowd… haha. I snapped a quick photo of Dara during one of her interviews wearing the bow, but had to run after that…! 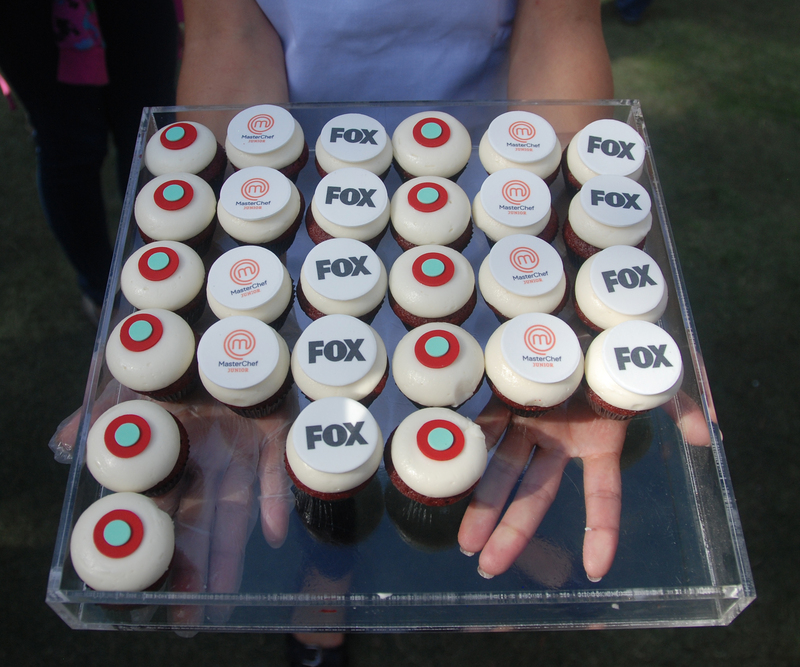 But not before grabbing one of the free Sprinkles cupcakes they gave to the crowd! Were they FOX-flavored? haha. 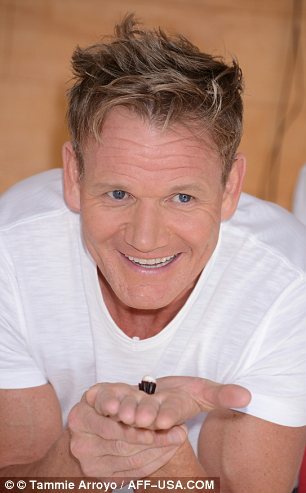 Hope you enjoyed that senseless Gordon Ramsay post. 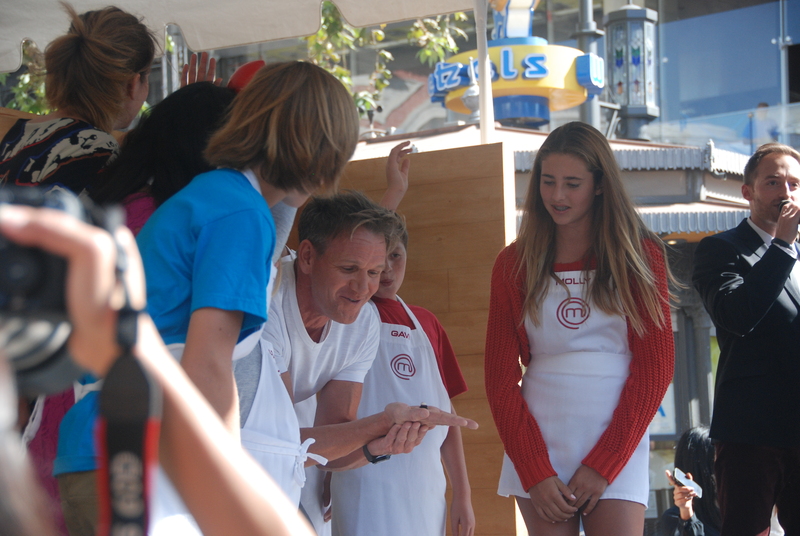 I love his shows, and am stoked to see the premiere of MasterChef Jr. tomorrow! 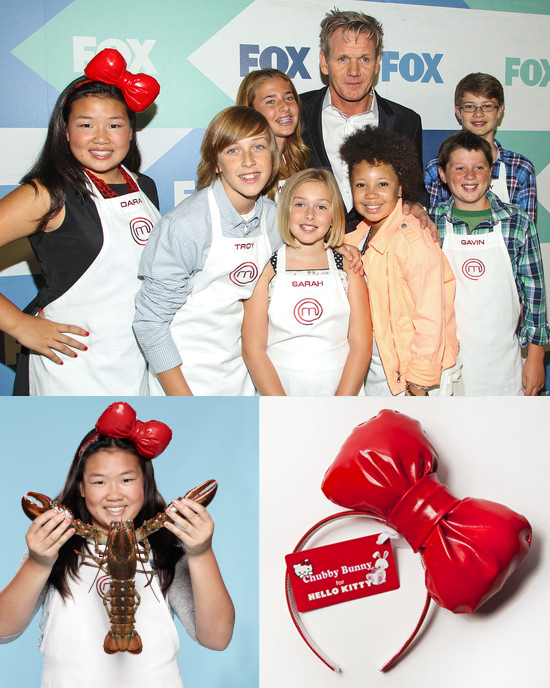 MasterChef Junior Contestant <3s Hello Kitty x Chubby Bunny! 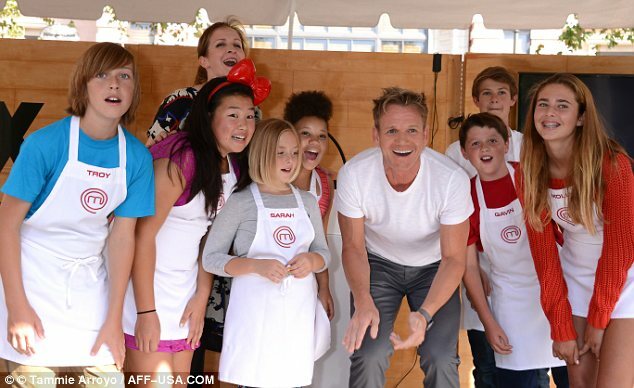 The show follows kids aged 8 – 12 in a cooking competition being mentored by (MY FAVORITE GUY EVER) Gordon Ramsay, Joe Bastianich, and Graham Elliot. Make sure to check out the premiere this Friday! Hello Kitty at San Diego Comic-Con! For full details on the event, see below for the official press release from Sanrio! Sanrio will make its official debut appearance at Comic-Con International in San Diego July 18th-21st, with Hello Kitty Fashion Music Wonderland, an interactive experience that will brilliantly bring Japan’s energetic pop culture to life. Fans will be treated to a colorful, anime-rich experience that will include giveaways, limited edition products, appearances by Hello Kitty and special guests from Sanrio’s Tokyo headquarters, as well as the launch of a new graphic novel, Hello Kitty Fashion Music Wonderland. While Hello Kitty has appeared with partners and collaborators at Comic-Con in the past, 2013 marks the first year that Sanrio is bringing an interactive Hello Kitty fan experience to this famous gathering. Blending the worlds of anime, cosplay, product exclusives, Japanese street culture and superfandom, Hello Kitty Fashion Music Wonderland syncs perfectly with the passionate fan culture that is celebrated at Comic-Con. Hello Kitty Fashion Music Wonderland: Open to the public, this energetic hub is inspired by the styles of Tokyo and Japanese pop culture, putting Hello Kitty at the center of the ultimate fan experience at Comic-Con Interactive Zone at Petco Park. Hello Kitty’s band of Lolitas, who personify anime, cosplay and the colorful style of Japanese pop culture, will host fans at the experience. A retail pop-up shop will offer a mix of event-only and limited edition Japanimation-themed collectible Hello Kitty items, including a free poster with any purchase. Hello Kitty will be present to meet her fans in a Japanimation-style outfit that mirrors the collection of products that will debut at the show. On Friday, July 19th and Saturday, July 20th, a nail artist from Tokyo will be on hand to treat fans to a free Sanrio nail art application with any $25 purchase from the pop-up shop. “Kitty-chan Secret Space” (booth 4537). 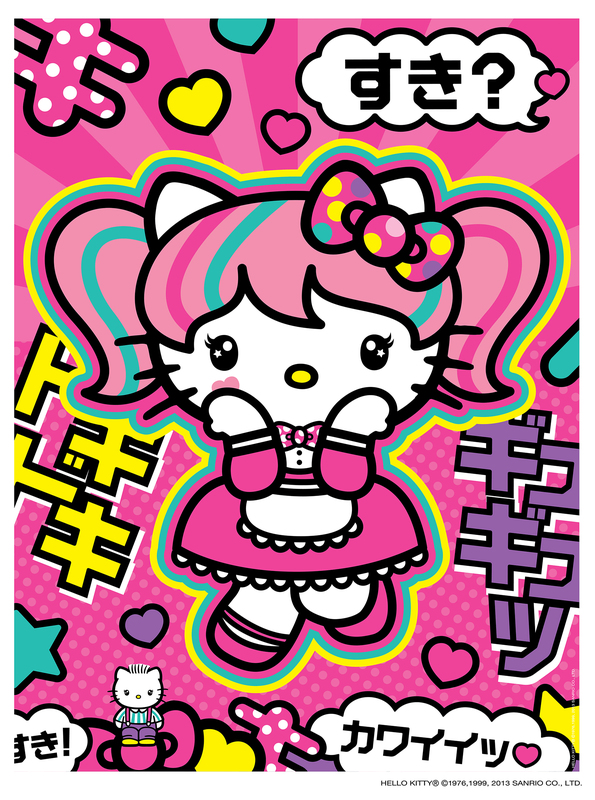 A term of endearment used for Hello Kitty in Japan, “Kitty-chan” is a nod to superfans and a clue that this Comic-Con Hello Kitty is truly distinct. Comic-Con badge holders will have access to the limited edition pink Hello Kitty flocked collector’s figure by Funko that will go on sale each day. The first 50 fans to purchase the figure on Friday, July 19th and Saturday, July 20th will also receive a free customized drawing by one of Sanrio’s lead designers from Tokyo. Hello Kitty Fashion Music Wonderland: A new graphic novel: Published in partnership with VIZ Media, this is the first-ever Hello Kitty graphic novel and it will make its debut at the retail pop-up shop. The Hello Kitty Fashion Music Wonderland graphic novel features three stories, each by a different graphic artist: Jacob Chabot, Victoria Maderna and Ian McGinty. Hello Kitty Comic-Con on Social Media (#HelloKittySDCC): Fans can stay connected with all things Hello Kitty at Comic-Con through a variety of social elements aimed at both Comic-Con goers and those not attending the event. Hello Kitty’s millions of Facebook, Twitter and Instagram friends can share photos and access contests and behind-the-scenes footage to connect with their Hello Kitty fan community. The fun starts before Comic-Con with a Fan Fiction contest tied to the launch of the new graphic novel. Fans on-site and at home can stay engaged and entertained through a different interactive social media event each day of Comic-con including Uglydoll and Street Fighter promotions as well as a free download of the Japanimation photo app for a limited time. 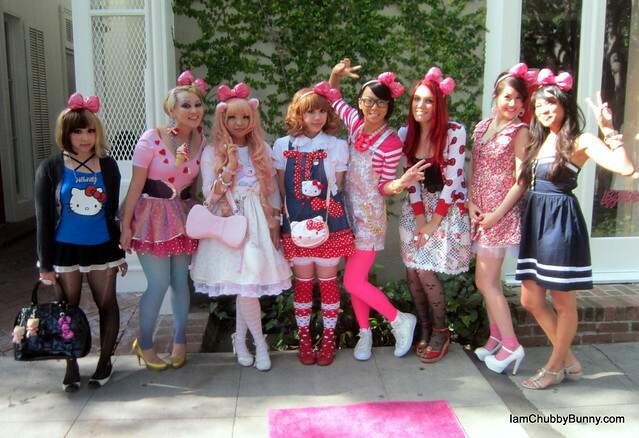 Hanky Panky x Hello Kitty Launch Party! A ton of readers have been asking me about the lingerie line for Hanky Panky x Hello Kitty ever since I posted photos of their lookbook that featured the Chubby Bunny bow on their models! 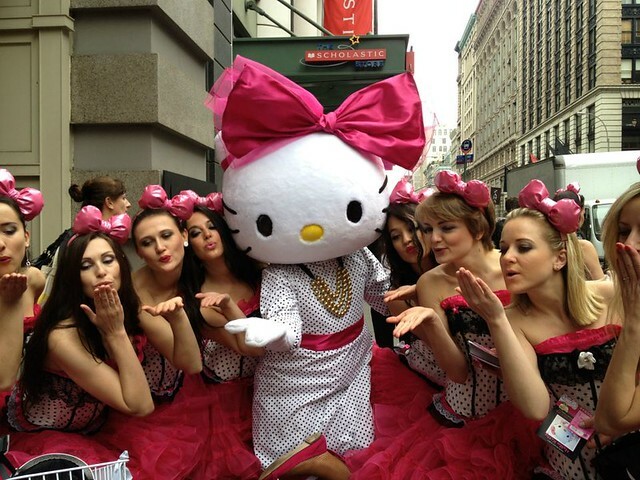 Just last weekend, Hanky Panky celebrated the launch of the line with a fun and fancy Hello Kitty party in SoHo! Unfortunately I was unable to attend, but Hanky Panky posted up the photos on their Facebook, so I’m sharing them here 🙂 Also, if you want to purchase anything from Hanky Panky’s new line, you can check out their website store, which JUST added the Hello Kitty items! The launch celebrated not only Hanky Panky’s new lingerie, but also the Humane Society, which will receive a portion of the sales of these products. Sephora also chipped in at this event, providing giveaways and promotion. The event was also featured in the Wall Street Journal today! How awesome! From the May 18, 2012 issue of Wall Street Journal. Tiffany Amber-Thiessen (Kelly from Saved By The Bell!!!!!) and Hello Kitty. Hello Kitty’s “Big Pink Bow” Collection at Sephora w/Chubby Bunny! It’s been an exciting Hello Kitty-filled weekend! In addition to it being my birthday (more on that later!) 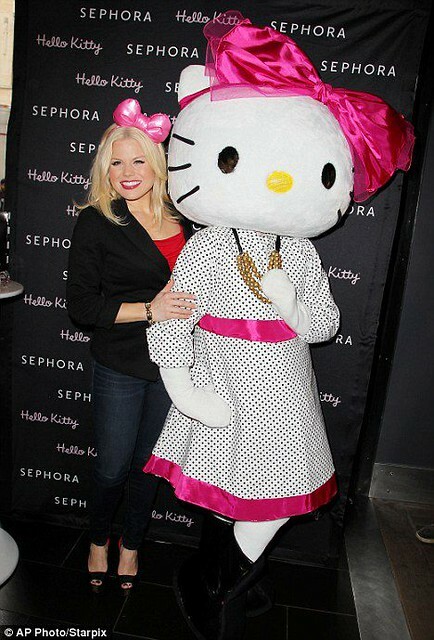 the debut of my latest Hello Kitty creation occurred in New York on May 4th, for Hello Kitty’s Big Pink Bow collection launch event with Sephora! 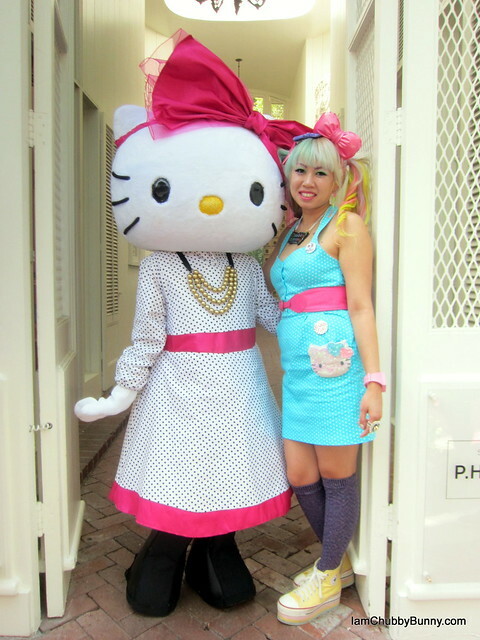 For the event, I collaborated with Sanrio to make an adorable polka dot dress with hot pink accents, and a pop of gold jewelry for Ms. Kitty as well as provide a few hundred pink Hello Kitty x Chubby Bunny headband bows for Sephora models to wear while promoting the launch! Megan Hilty (of NBC’s SMASH) even joined in the fun at the event. 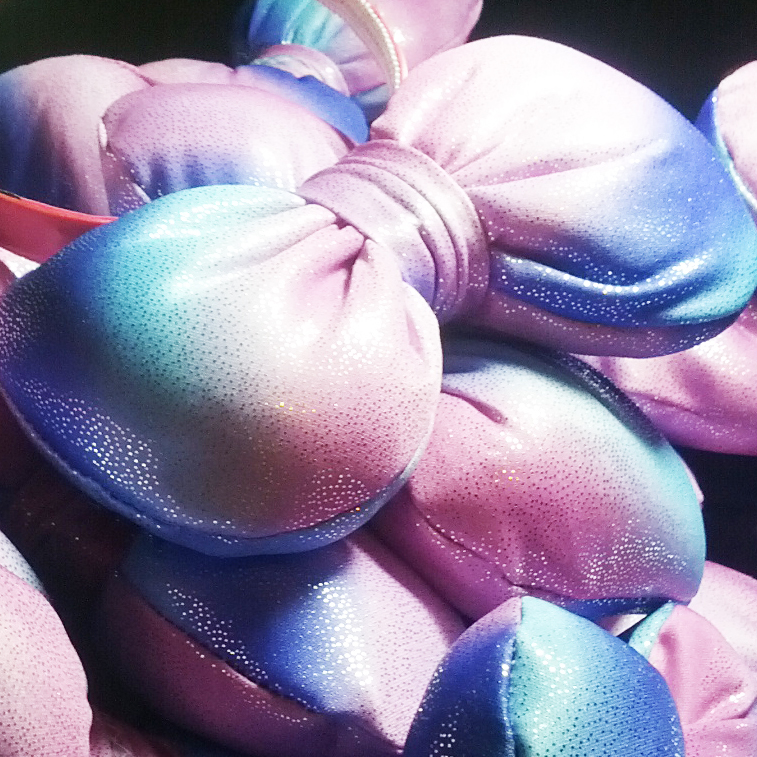 The pink puffy bows are available for purchase on my site at www.iamchubbybunny.com! Girls wearing the Hello Kitty x Chubby Bunny bow and riding Hello Kitty bicycles cruised around New York City, promoting the Big Pink Bow event at Sephora! How cute are they? Megan Hilty (TV show “SMASH”, and Glinda from “Wicked” on Broadway), joins the girls in promoting the Big Pink Bow launch! Kisses from Hello Kitty and friends! 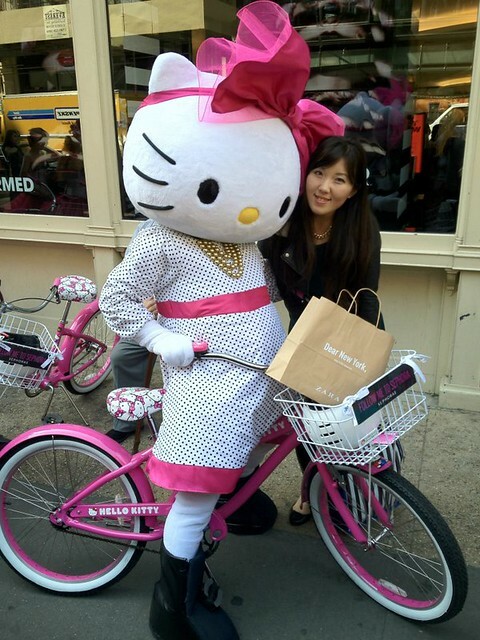 Hello Kitty on her matching bicycle poses with a fan! Here are some behind the scenes photos from the video shoot! 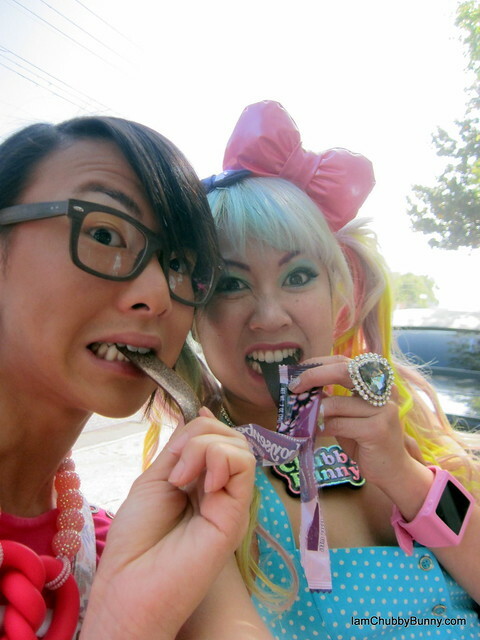 The finished video will make it’s debut at the end of May and be featured on Sephora.com and Sanrio.com! I’ll post up links to it as soon as it’s available! Hello Kitty is a styling cat in the video…! She looked so cute with her face peeking out from the limo! 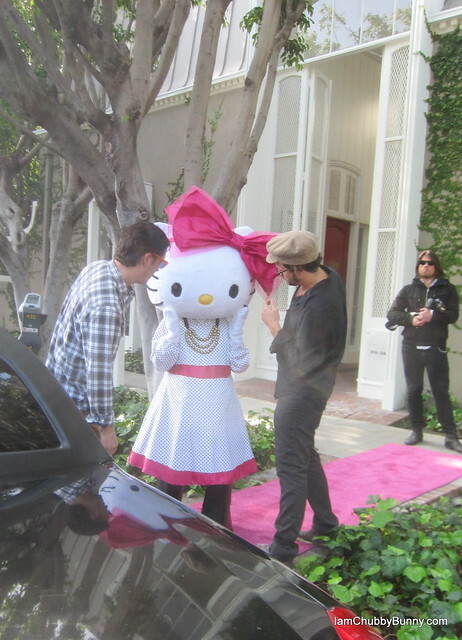 Hello Kitty getting prepped to walk the “pink” carpet! The middle Hello Kitty ring was newly released by Sephora for the Big Pink Bow collection, and opens up to reveal cream perfume scent! It smells really fruity and cute, with hints of pineapple, flowers, & coconut! 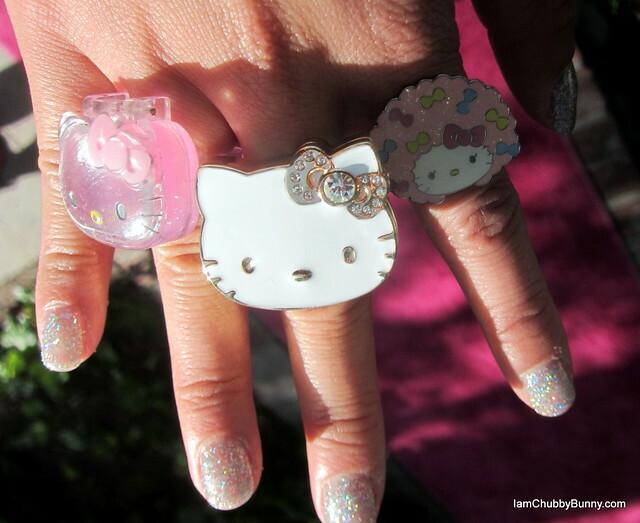 You can buy the Hello Kitty perfume ring here! Onch (of onchmovement.com) and I sharing a fruity snack haha. Yay! Can’t wait for the video to come out! For tons more photos from the New York Big Pink Bow opening and the behind-the-scenes pics from the video shoot, check out my Flickr set! 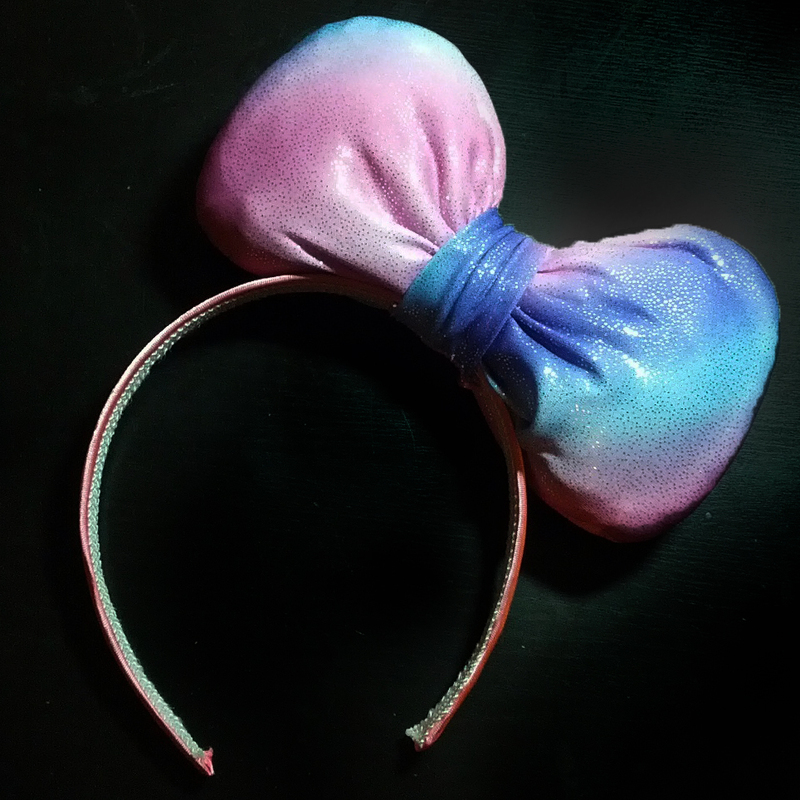 Craft Box: May Costume Madness: Hello Kitty, My Little Pony, Great Gatsby! I’ve been working super hard these past couple of weeks on 3 projects at once! I’m doing another Hello Kitty mascot costume for an upcoming launch somewhere special this month….. It’s the first time I’ve made jewelry for Ms. Kitty, too! Purr-ly and pretty for Ms. Kitty, hehe. Princess Celestia character that I'm taking inspiration from for my outfit! 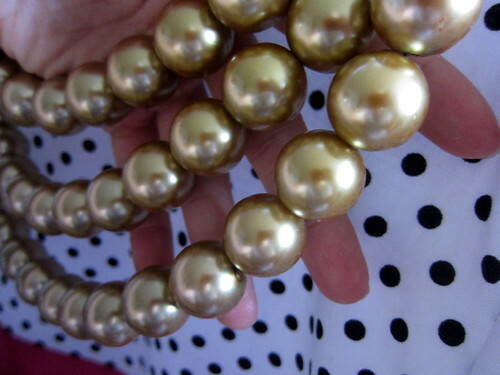 Pretty and soft materials I'm prepping for my outfit! And of course, at the end of this week, my BIRTHDAY will be arriving! I will be turning the big 30, so I’m doing a “Great Gatsby”-themed birthday party, to celebrate the end of my “roaring 20s”, so to speak! I even made a stupid little image for it, haha. I was able to finish up this EPIC dress to wear for my birthday last week! Just have to work on the accessories now! Can’t wait to share final photos of all of my projects with everyone! I just had to post a few progress photos because I am SUPER excited for this week and these projects!! !